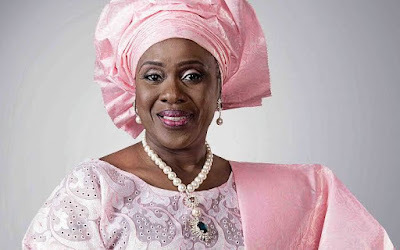 Veteran Nollywood actress, Joke Silva-Jacobs, has revealed she was actually adopted as a child. According to her, she was adopted decades ago from a foster home run by the Red Cross in Lagos. “Everybody would be calling me whenever my adopted mum (Dr. Silva) came with cakes and a lot of things during her visit. I went to YWCA Nursery, which was not too far from the Silva’s home in Yaba. I also have memories of moving in with them when they moved to Glover Road in Ikoyi. “I remember reading newspapers to my Dad in our sitting room and pronouncing Brig-General Aguyi Ironsi, the then Nigeria Head Of State, Agolo Iresi! My father could not stop laughing at my hilarious interpretation of the newspaper. “Also I remember making them proud, when performing at St. Saviour School. My parents would be standing and were congratulated by other parent too for my acting skills. My parents were so excited that this child was incredibly talented. “I have memories of going to Holy Child College Lagos because my parents insisted on me going to Holy Child because that is where Julie Coker, Pearce Olusola and Ibidun Allison went and they believed with all my performing talent skills, that is the kind of school I should go to too. “Even in their wills, I was well protected. My Daddy being a lawyer said in his will that all his children, both adopted and biological, should be treated equally. I was not stressed in anyway. We were all well taken care of till my mum died at the age of 89. At 56, I still miss her but I know she has definitely gone back to her father. “On her sick bed I always sang her favourite tunes, she would be imputing the melodious tunes and she died singing to her Lord. She had prepared her family before my coming into her life because I had an incredible big Silva family.